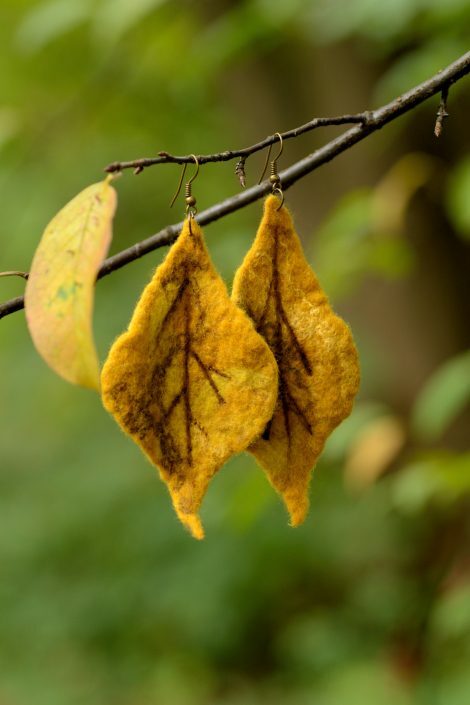 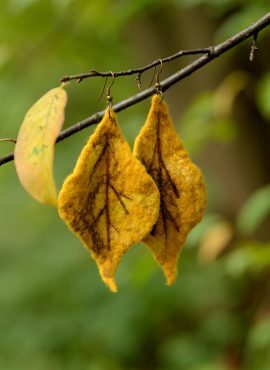 Felted leaf earrings in yellow autumn tones made for women who love nature. 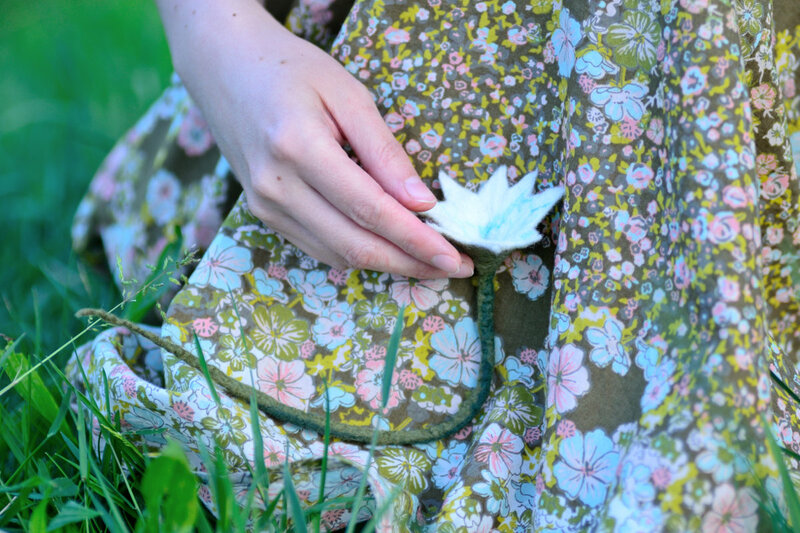 They will give a nice color accent to your outfit. 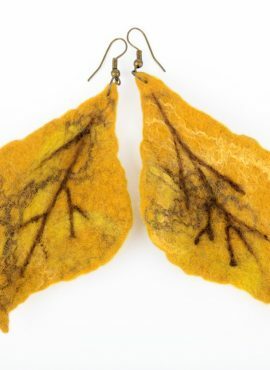 These leaf earrings are lovely pieces of autumn jewelry. 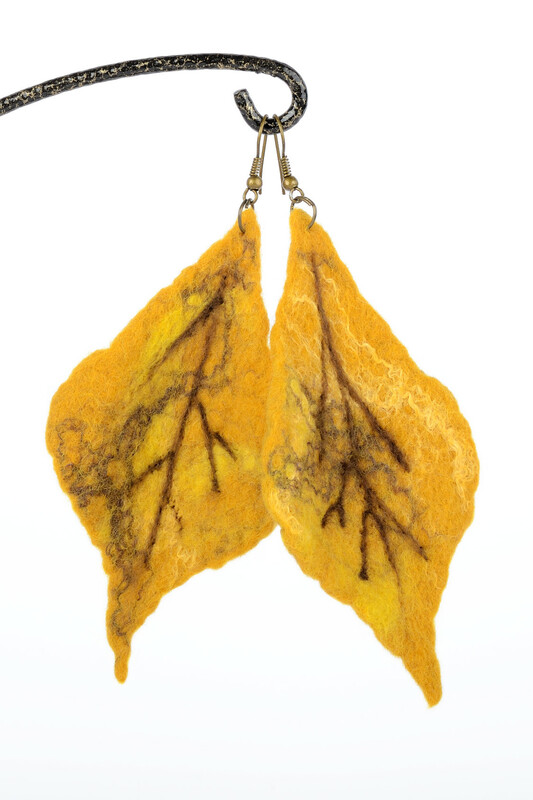 They are made in felting process and consist of yellow merino wool. 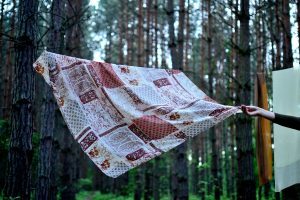 That is why they are lightweight and nice in touch. 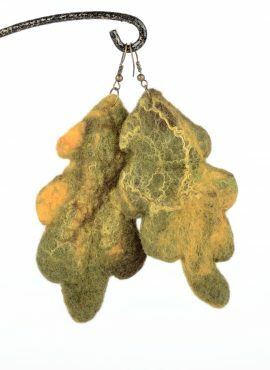 We shaped them in hands and hanged on metal earring hooks in antique bronze color, which lets them move with every wind blow. 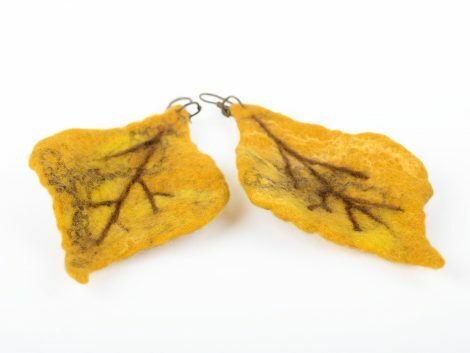 These long fall earrings fits with many clothes and styles. 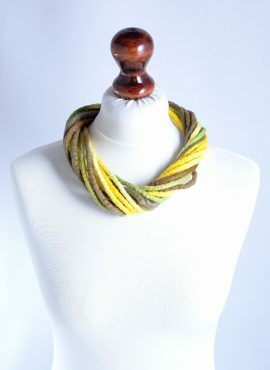 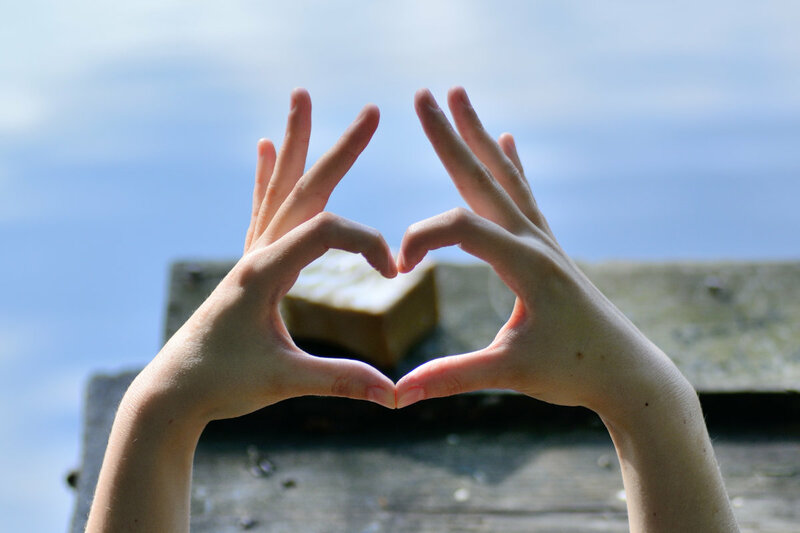 You can wear them with romantic dress, with boho sweater or with autumn coat. 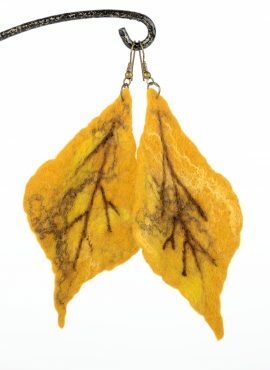 If you are looking for autumn earrings in warm sunny tones, these yellow leaves will win your heart. 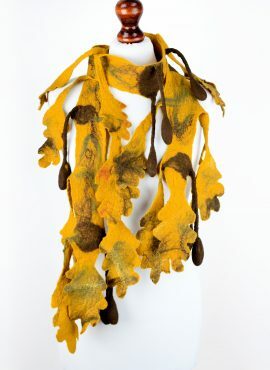 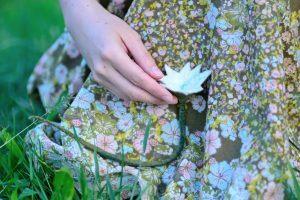 You can also use them in other seasons to express your nostalgy or give a nice color accent to your outfit. 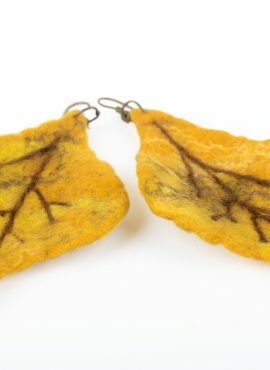 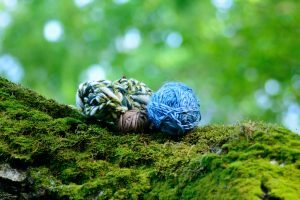 These felted leaf earrings will emphasize your personality and your love to nature each time you wear them. These autumn earrings with chestnuts are our private tribute to Mother Nature. 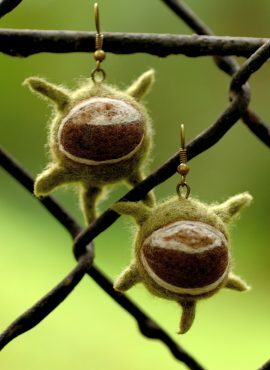 If you love autumn jewelry and spiky designs, they will win your heart. 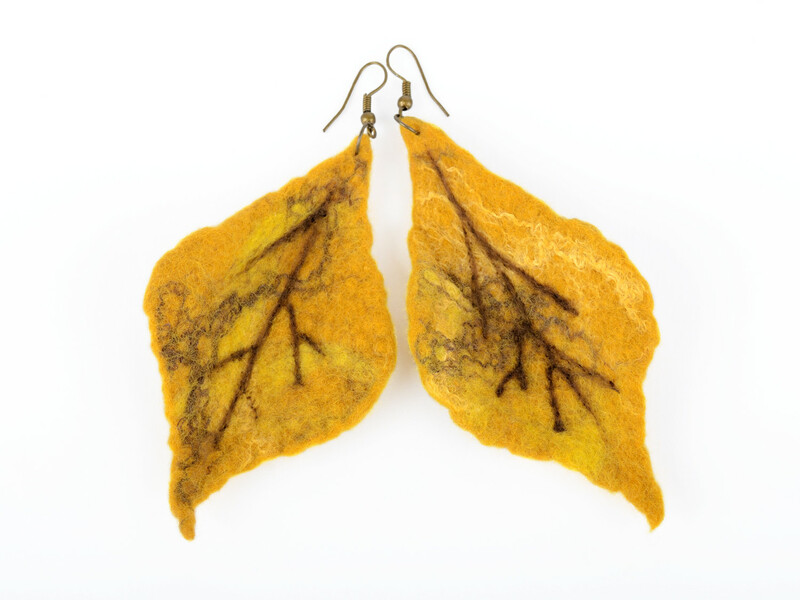 Fall earrings in the shape of oak leaves. 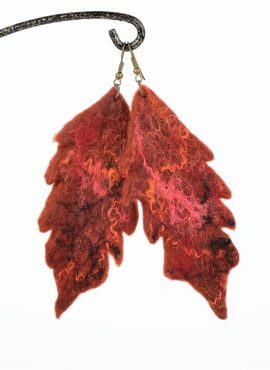 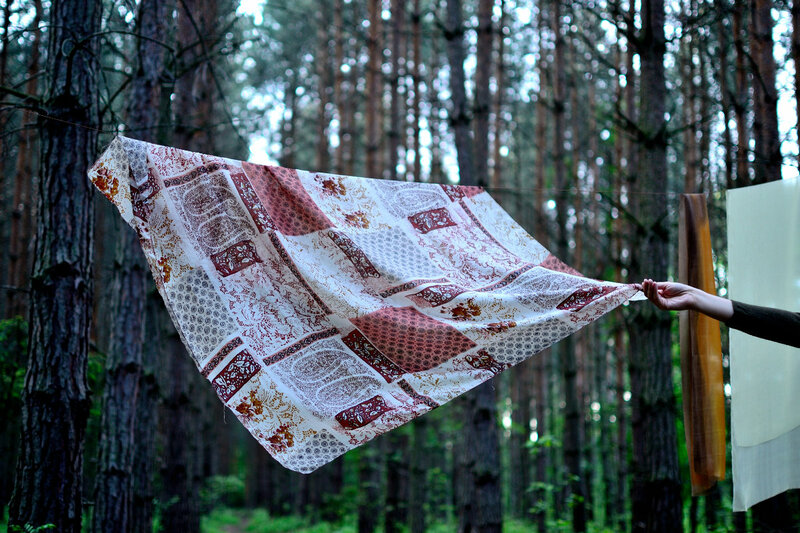 They are felted by hand in rusty autumn color and have provocative jagged edges. 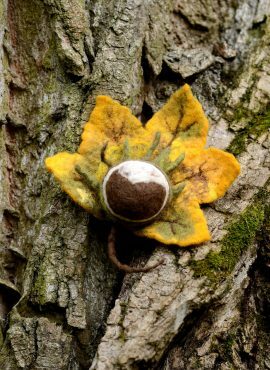 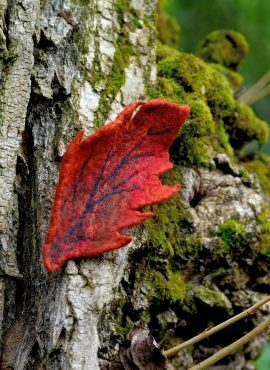 This fall leaf brooch will give you a bit of woodland look. 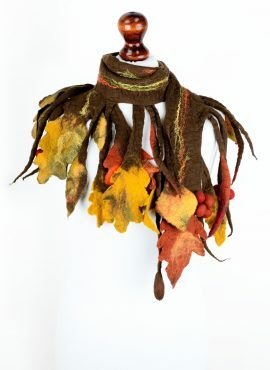 It is made by hand in November tones, which makes it a beautiful piece of autumn jewelry.